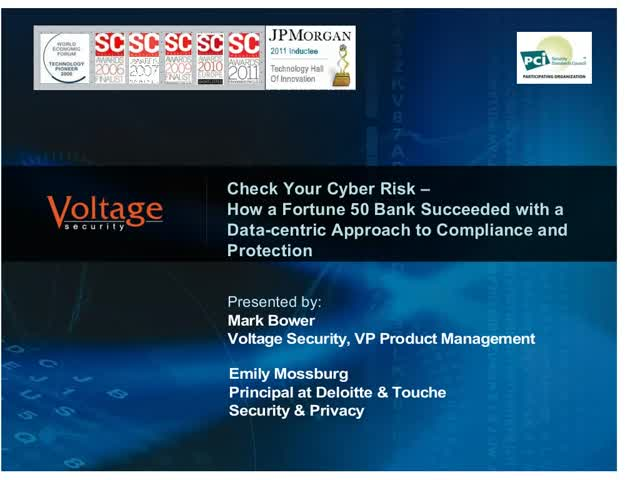 This webcast features Emily Mossburg, Principal, Deloitte & Touche LLP, who shares her personal experience in driving a data-centric security implementation at a Fortune 50, Top 10 bank. Legacy approaches to securing email communications usually leave a lot to be desired or just plain don’t work, with usability being the number one barrier to adoption. They also require complex configuration files, key management, administration and provisioning – not to mention the multiple end-user steps to access encrypted emails and attachments. In many cases, inconsistent delivery methods even from a single solution results in clunky or unusable experience for mobile users. But what if your mobile users could send and read encrypted email on leading iOS, Android, and Blackberry devices using the native experience without the hassle of web browsers, managing certificates, or awkward proxy servers? What if you could manage granular email data protection policies across corporate and personal mobile devices, both inside and outside the enterprise, from a unified console? Micro Focus - Data Security drives leadership in data-centric security and encryption solutions. With over 80 patents and 51 years of expertise we protect the world’s largest brands and neutralize breach impact by securing sensitive data-at-rest, in use and in motion. Our solutions provide advanced encryption, tokenization and key management that protect sensitive data across enterprise applications, data processing infrastructure, cloud, payments ecosystems, mission critical transactions, storage, and big data platforms. Micro Focus - Data Security solves one of the industry’s biggest challenges: simplifying the protection of sensitive data in even the most complex use cases.